Valet trays offer a stylish and functional way to store your keys, knives and EDC pocket tools at the end of the day. 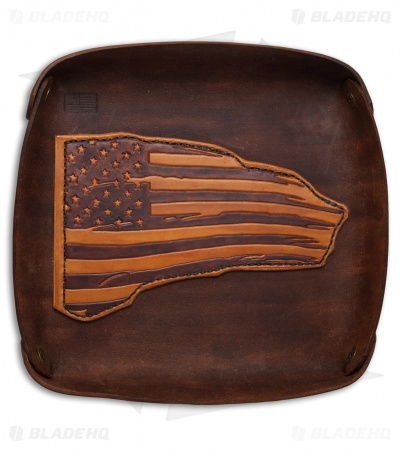 This large leather tray from Fire Hall Knife and Leather features a leather American flag overlay on the front. 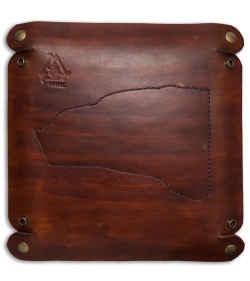 These trays are handmade and uncoated so they will develop a unique character as the leather is aged. 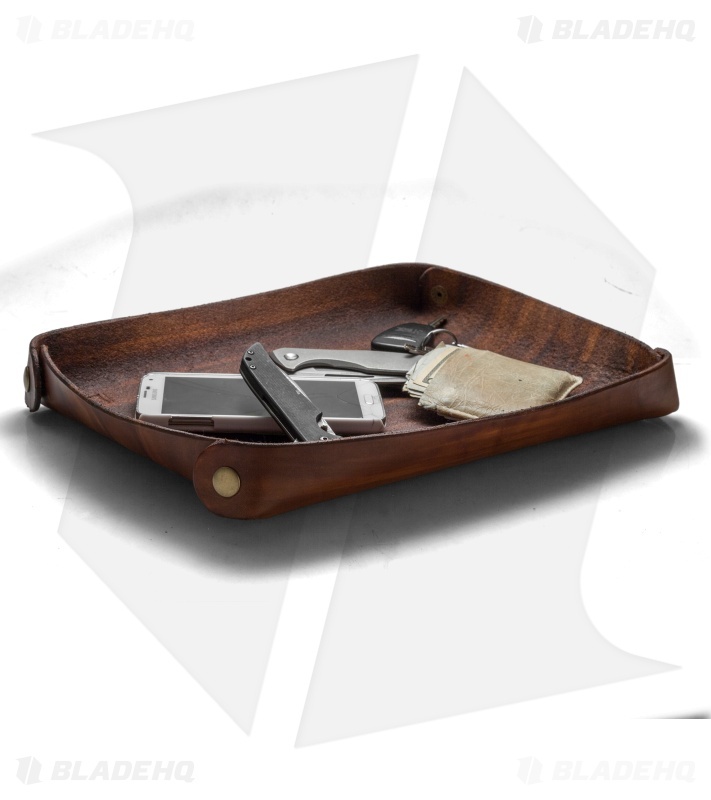 Item can lay flat, or snap together on the corners to make a useful tray. Never misplace your important items again with a valet tray from Fire Hall Knife and Leather.